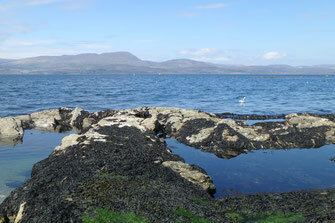 Last Friday was a wonderfully sunny day with a fresh westerly breeze. 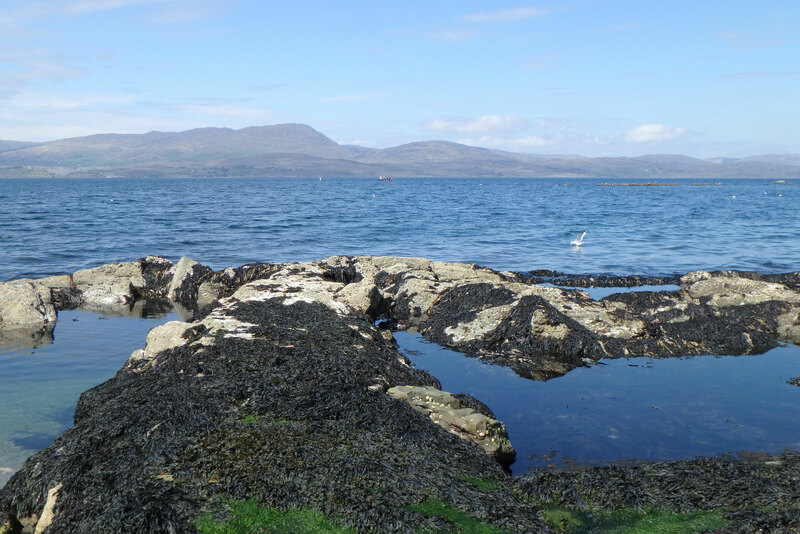 I had to go to the dentist in Bantry about lunchtime but on the way back I drove along the coast road. I wanted to have a look at an outfall pipe that I haven't fished before, and maybe get the rod out if conditions looked suitable. The pipe has been there a while but only over the last few months does it seem to have become active, carrying waste from a fish processing plant. It's not an easy spot to fish, the end of the pipe only being accessible for a short session over low water and it's not far above water level so it's prone to getting sloshed over if there's any swell. The water in front of it is not very deep, and there's a kelp-covered reef just under the surface only slightly to the left. Better still, almost as soon as I chucked in a few bread crusts, a mullet started swirling at them and one by one they disappeared. 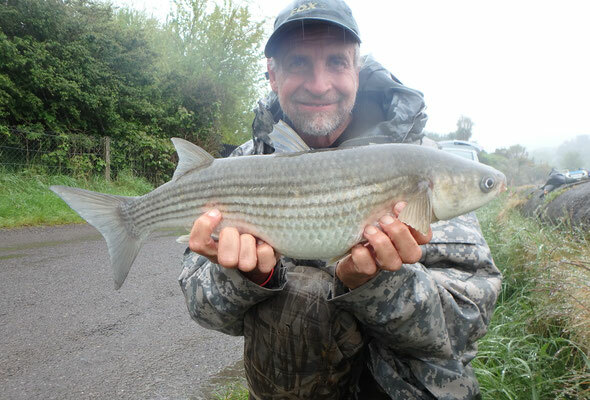 I dashed back to the car and was back with my rod five minutes later. I fed in a little mashed bread and trotted my float through left to right on the flow/breeze, fishing flake about 18" deep. On the third trot through, the float buried and I had a great scrap bringing in a fighting-fit mullet, most of it spent trying to keep it out of the kelp reef. The fish weighed 4lbs on the button. I was slightly surprised that the swim died after that, clearly there's still not many fish around on the open coasts here probably because the water still feels brassy cold. Anyway, last knockings as the gentle swells were beginning to lap over my platform, I saw another mullet swirl on the surface. I decided to stay a little longer to see if I could get it, and I did but as it turned out it was only a small one, less than 2lbs. 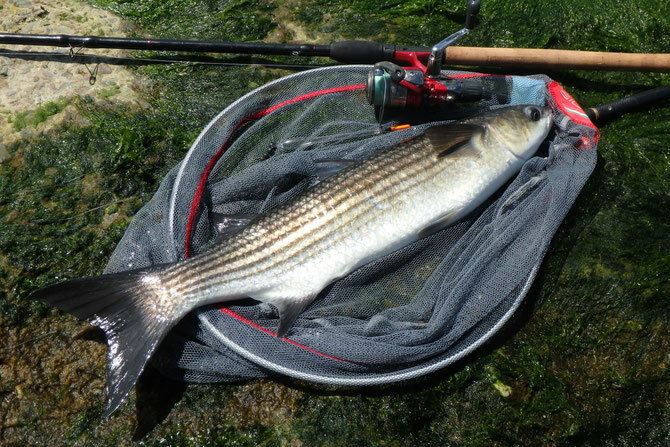 The tide was well down and I could see occasional mullet topping in the shallow water. As I was setting up, another angler further down the road was just landing one. Later he walked up to introduce himself - a reader of this blog - good to meet you Jonny and glad you caught. However it was a good couple of hours in my swim before I had a take. The left tip fell back then nodded, I struck and found myself playing a powerful fish. It ran out and left, coming worryingly close to the snag you can see in the photo above, to the extent I had to clamp down on the spool and give it some real welly to turn it back my way. I'd followed it along and left my landing net behind. In the end I jumped down the wall onto the foreshore to beach the mullet, then climbed back up with it clutched under one arm. A few minutes later the right tip pulled over and I had an only marginally less exciting scrap to land another mullet, this one coming in quite easily before giving it the works close in, always a worry whether the hook will stay in. Contrasts? Well I just love the way the weather changes day-to-day here and I love the huge variety of different mullet marks available. 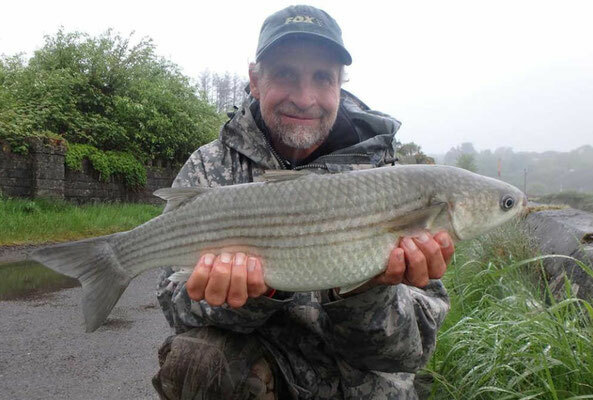 Mostly though I marvel at how variable the thicklip mullet I catch can be from the long, lean, black-backed fish off the rock mark with its huge paddle tail to the paler, deep-bellied, thickset fish from the shallow estuary at Rosscarbery that weighed well over a pound heavier for a very similar length. You'd almost think they were different species, but they're not. Great to meet you David, and thanks again for all the advice. I was back out on Monday morning for a few hours. 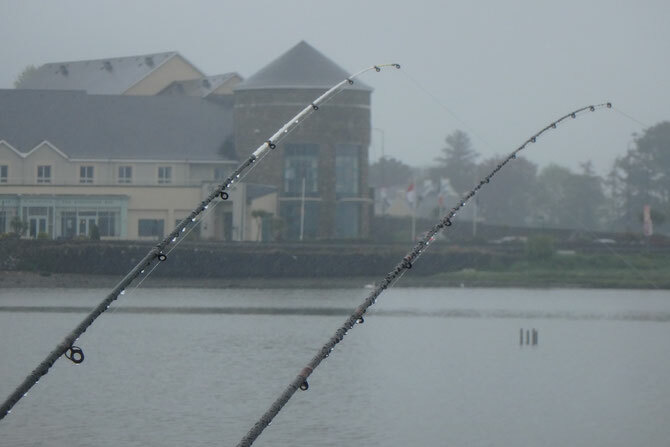 There seemed to be a few more mullet visible on the surface with the slightly calmer conditions and I had a couple of nice fish around the 3lb mark before I had to pack up and head back to Dublin. I really enjoyed my trip, despite the 48 hours of unbroken drizzle, and I can’t wait to get back down for another go.